U.S. intelligence sees the bloodthirsty African group ‘take a page from the Islamic State’s social-media playbook.’ But Internet cooperation may be just the start. Boko Haram, which has terrorized Nigeria in its quest to create an Islamic caliphate, appears to mirroring the Islamic State’s online media campaign and potentially laying the groundwork for future coordination between the groups, U.S. government officials and experts have said. 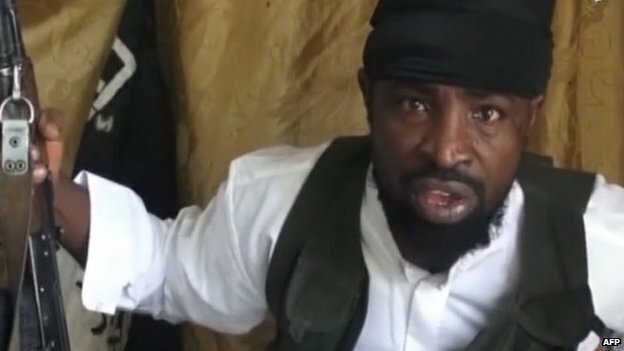 The terrifying prospect that two of the world’s most ruthless, bloodthirsty jihadi groups could be moving toward creating an extremist alliance that extends from western Africa to Southeast Asia left Washington analysts scrambling to make sense of Boko Haram’s newfound online presence. 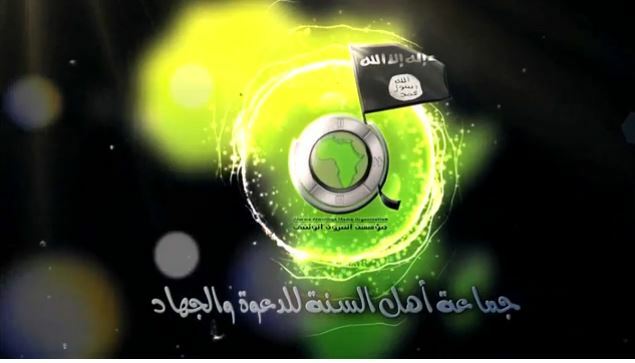 In the last 10 days, Boko Haram has created an online media channel, The Indissolube Link (or Urwah al-Wuthqa), that looks very much like the Islamic State’s al Furqan outlet. The channel puts out videos, statements, and other forms of propaganda. The outlet presents a new kind of Boko Haram. Rather than showing grainy videos days after a purported attack, the newly created channel now features slickly produced pieces, in some cases with Arabic and English subtitles, within hours of an attack it wants to claim credit for. 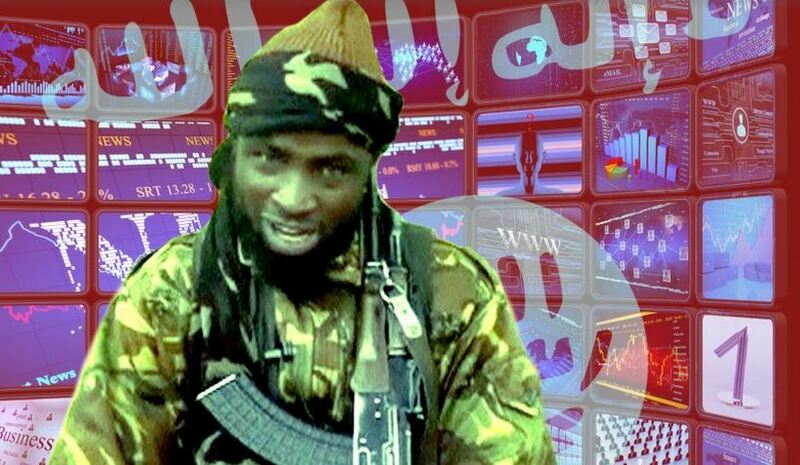 For example, a 12-minute video interview with Boko Haram’s spokesman bore many Islamic State hallmarks: professional graphics, a black flag waving in the corner cutaways, and blurred out faces of both the spokesman and the interviewer. Other videos open with a common anthem used by the Islamic State, also known as ISIS or ISIL. The Indissoluble Link also created a new Boko Haram Twitter account. And in the last few days, Islamic State supporters on Twitter have been among the first to push out these Boko Haram messages. They’ve also joyfully welcomed the new Boko media outlet and offered congratulations on the new endeavor. Nearly all of the tweets were in Arabic, even though Nigeria’s official language is English. That Boko Haram messages have suddenly become far more sophisticated suggests they had outside help, said Aaron Zelin, a fellow at the Washington Institute for Near East Affairs who studies jihadi movements and details Boko Haram’s new media activityhere. “There are signs that things could be going on behind the scenes in terms of future announcements between the two groups,” Zelin said. A U.S. intelligence official told The Daily Beast that while Boko Haram’s media campaign appears to be inspired by the Islamic State, there is no evidence of entrenched cooperation between the two. For example, there is no official claim the groups have converged or any indisputable evidence they are plotting together. In the intelligence community’s view, the shared rhetoric does not extend to plans to work together—at least not yet. That is, Boko Haram’s aspirations for a caliphate extend to Nigeria and its neighbors, not all of the Middle East, half of Africa, and much of Southeast Asia—much as the Islamic State does. 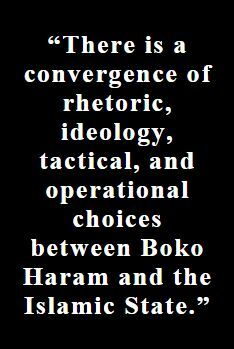 “There is a convergence of rhetoric, ideology, tactical, and operational choices [between Boko Haram and the Islamic State]. But in order for one to have even a marriage of convenience, there has to be a common strategic vision, or end goal,” J. Peter Pham, Africa Center director for The Atlantic Council, explained to The Daily Beast. Even before the new media campaign emerged, Boko Haram already appeared to be embracing Islamic State messages and tactics. In the last few days, for example, Boko Haram has produced images and videos of child soldiers; the Islamic State has done the same. In the last 18 months, Boko Haram’s approach has moved toward gaining territory, much like the Islamic State has sought to do in Iraq, Syria, North Africa, and even Southeast Asia. Most recently, Boko Haram aggressively fought for control of Baga, Nigeria, which borders Lake Chad. Last week, Boko Haram mounted an attack on Maiduguri in the northeast. Although a risky strategy, the Islamic State stands to gain a lot from a Boko Haram alliance. It would allow the Arab-dominated group to expand its grip outside the Middle East. Its apparent push into western Africa comes as the Islamic State is moving into Afghanistan, according to recent reports. In northern Africa, the Islamic State has set its sights on the ungoverned state of Libya, where jihadis live and have traveled to Syria. Just this week, the Islamic State claimed responsibility for an attack on a luxurious Tripoli hotel, the Corinthia, which killed at least eight people, including five foreigners. Nigeria could become the key state of its western Africa Islamic State caliphate. The appearance of cooperation between the two groups would allow the Islamic State to claim a bigger grip on western Africa than its rival, al Qaeda in the Islamic Maghreb, which has limited influence on Nigeria and neighboring Mali. That is, the Islamic State could claim its reach extends far beyond al Qaeda, making it the world’s default premier terror group. At times it appears the Islamic State is drawing Boko Haram in. For example, the Middle East group referred to Boko Haram’s April kidnapping of nearly 300 girls this past summer when it held hundreds of Yazidi girls in Iraq. For Boko Haram, working with the Islamic State bolsters its legitimacy and could potentially help it gain recruits and funding, Zelin explained. But there are risks for both sides as well. Managing a group like Boko Haram will be difficult, at best, for the Islamic State. Boko Haram leader Abubakar Shekau is a purported control freak, making a somewhat cohesive unit out of a formerly atomized collection of extremist bands. And while Boko Haram has been receiving training from AQIM since 2009, al Qaeda has yet to gain a firm grip inside Nigeria. It is unlikely Shekau would relinquish power to a group as new as the Islamic State, with which he has limited relations with and does not share a culture with. Boko Haram “has a spiritual unity with other jihadists but they haven’t asserted this willingness to be subsumed into one entity,” Pham told The Daily Beast. Moreover, being affiliated with the Islamic State could draw the international community to take on Boko Haram in ways it has so far declined to do. Acting largely on its own, the Nigerian military so far has failed to break Boko Haram’s grip on northeastern Nigeria. What started as a violent group has evolved into a terrorist organization that has expanded its territory. Boko Haram is among the fastest evolving terrorist groups the world has seen. Because of that, what appears to be a media-coordinated online effort could quickly evolve into something else, Pham warned. “Boko Haram is a rapidly growing group and a rapidly shifting group,” he said.